Stay Safe in the Field This Fall! Now that most of the grain is safely out of the field and in storage bins and the combine is ready to be put away, it’s time to go back to the field and start with fall tillage and application. More late nights, but at least there are less moving parts and you can let your guard down right? If that’s what you were thinking, then it’s time to revisit some safety tips and common dangers of fall application. 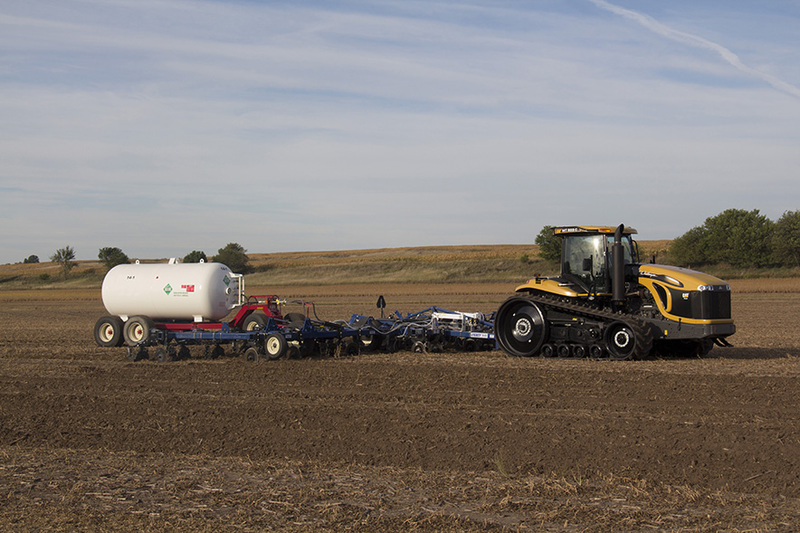 Fall application of anhydrous is a common practice that should be carried out with as much caution as any other farm operation, starting with towing the nurse tank from the co-op to the field. Whenever pulling a nurse tank, always make sure to put a clip in the hitch pin and connect both safety chains to the towing vehicle. Anhydrous tanks are heavy and most often pulled by pickups; remember that many of these tanks do not have their own brakes, so all the stopping power is coming from the pickup which is only a fraction of the weight of the tank. Keep your speed under 25 mph, be sure the slow-moving vehicle sign and the tender rig are as visible as they can be. Whenever around NH3, make sure to wear long sleeves and pants, non-vented goggles and a heavy pair of rubber gloves; do not wear contacts. Always make sure there is plenty of water readily available and you know where it’s at in the event of an emergency. Another safety concern during the fall application season centers on dry fertilizer application. Whether this is a strip-till machine or a dry spreader box, each has its own dangers that need to be acknowledged. Dry fertilizers attract moisture, so when in contact with skin it can lead to minor skin burns that are generally just a minor discomfort. This can be avoided by once again wearing proper clothing. Long sleeves, pants, gloves, and a hat should be worn to minimize contact, and exposed skin should be washed several times a day. 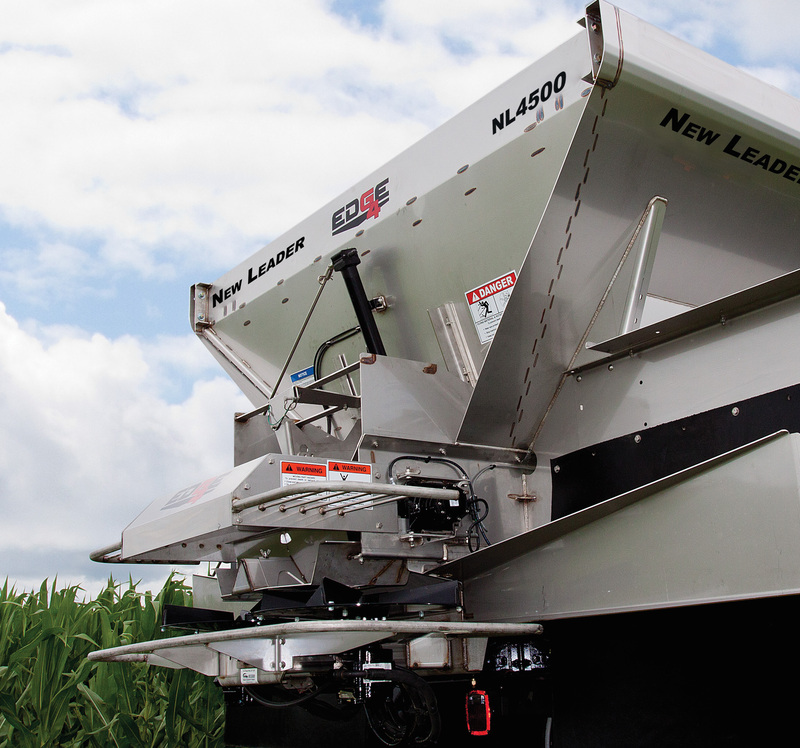 Spreaders throw particles at high speeds so care should be taken to stay away from the back of the spreader and make sure no one is near the spread pattern. Strip-till machines have their own dangers. Many of these are used for both dry application and anhydrous, which requires extra caution. The fan on these machines blows fertilizer out to each drop to be safely placed in the ground, most of the time. If one becomes clogged or the machine needs a quick adjustment, always shut off the fan and any metering augers before performing maintenance. As always, the best practice is to shut off the engine and lock out the hydraulics on any machine before performing maintenance, and if possible, have a second person around to supervise in case an emergency does occur. From all of us at Ag Leader, have a safe and productive fall!